← It’s my birthday, so here’s a gift for YOU! I have been one busy person the past few months. Unfortunately, things like this blog have been neglected in the meantime. Good intentions don’t create real blog posts! So here’s what’s been happening. First, there was a “preview” book released in April or early May called A B C Muffins. 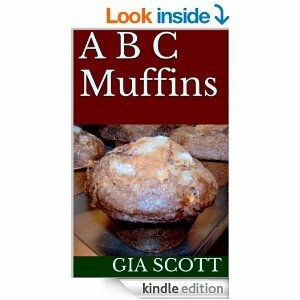 That had 35 different muffin recipes that were from the upcoming book, The Big Book of A-Z Muffins, which had a lot more recipes and photographs, which was part of what was keeping me busy. I’ve made a lot of muffins, even after the weather got warm enough here on the Gulf Coast that baking wasn’t really all that appealing. With that said…it has been published and is available through Amazon right here for $4.99. 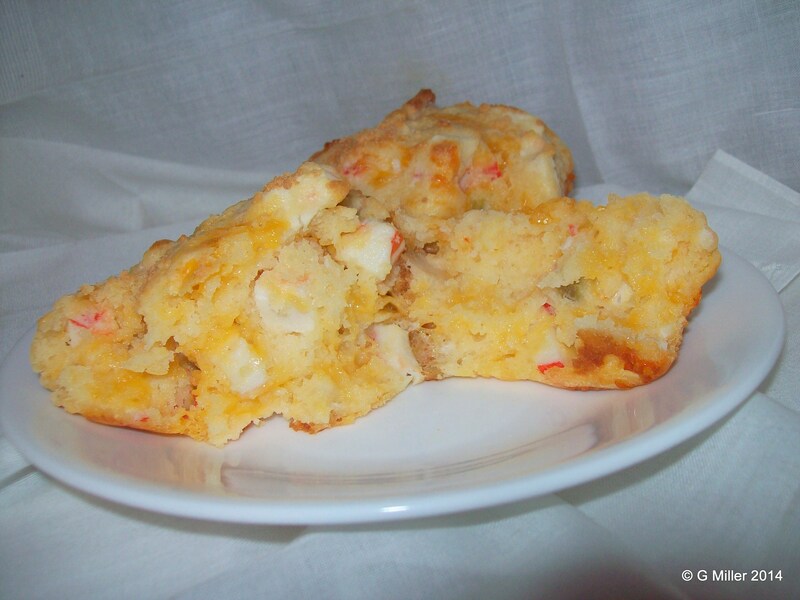 Just to share with my readers, here is a recipe that you should enjoy–Crab Au Gratin Muffins. The recipe calls for inexpensive imitation crab, but if you have fresh crab, it would make them even better! These are delicious and well worth making, despite summer’s heat. Cheesy, crab-by, and delicious, they are moist too. If you want to serve these as an appetizer, bake them in a mini-muffin pan. To bake ahead, cook them just until done, remove and cool. Refrigerate until just before serving and reheat in microwave. No one will realize that you “cheated” and baked them the day before! Preheat oven to 400° degrees F. Generously grease 12 muffin cups. In mixing bowl, whisk 2 eggs, yogurt and milk together. Add melted butter and whisk until mixture is creamy. Stir in crab meat, cheese, and seasoning mix. Fold in flour, stirring just until all ingredients are evenly moistened. Divide thick batter between muffin cups, pressing down lightly to ensure that the bottom of the muffin cup is filled. Sprinkle tops of unbaked muffins with grated Parmesan cheese. Bake muffins in preheated oven for 20-25 minutes, or until golden brown and tops of muffins spring back when lightly touched. Cool in pans for 5 minutes before removing. Serve muffins hot or warm. Refrigerate leftovers. This entry was posted in Breads, Breakfast & Brunch, buffet, Easy, Entertaining, Fish & Seafood, Make-Ahead, Potlucks & church suppers, Quick, Recipes, Southern and tagged books, cheese, crab, gia scott, muffins. Bookmark the permalink.